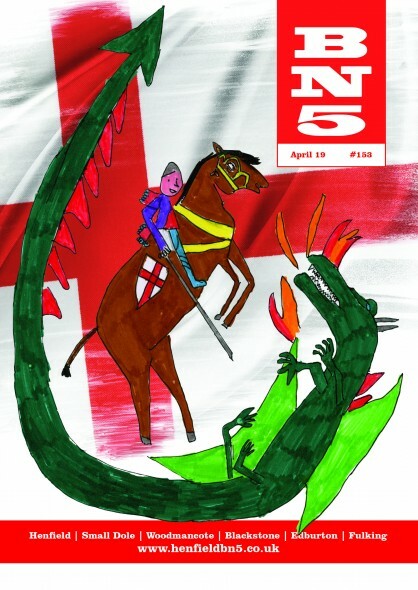 We hope you like our colourful and creative front cover for our April 19 edition, beautifully illustrated for us by Alec Ballard from Stingray Class at St Peter’s CE Primary School. 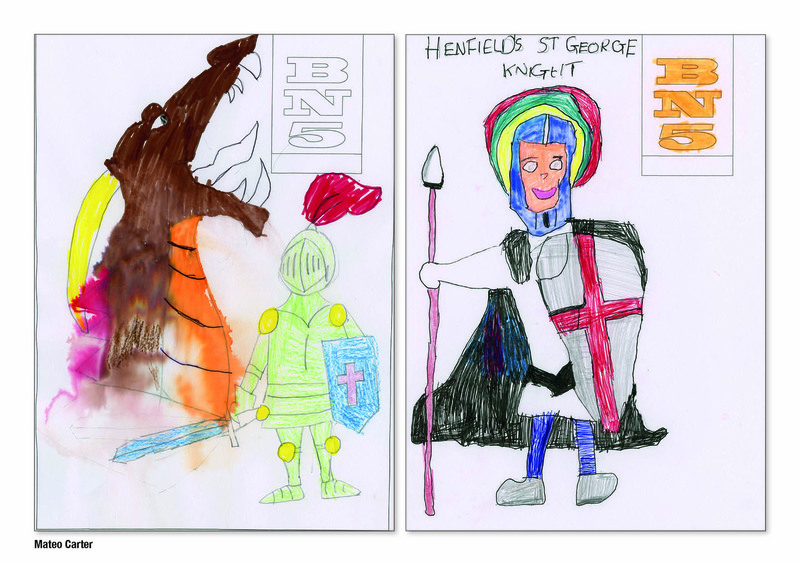 Alec’s artwork was one of three winning designs selected by myself, Malcolm Eastwood (Chairman of Henfield Parish Council) and Denise Maurice (Headteacher at St Peter’s) from the wonderful artwork created by Year 3 students. 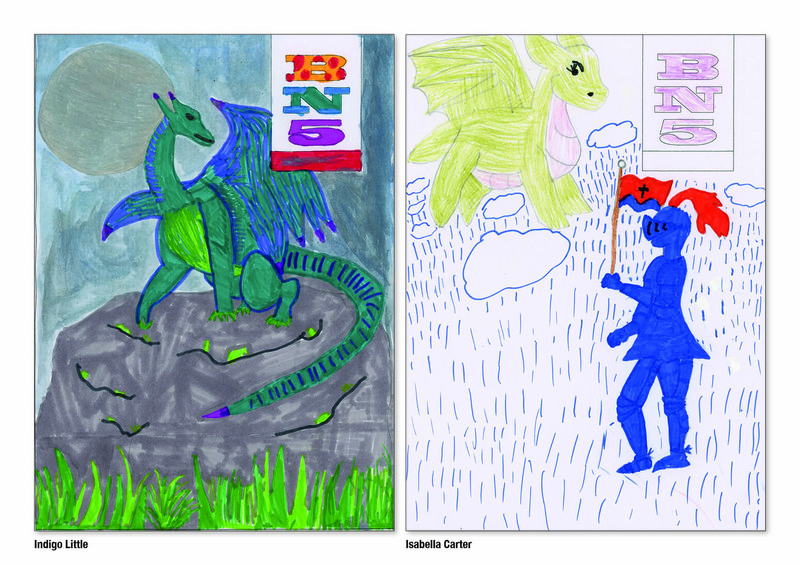 Narrowing our choices down to just three was an incredibly difficult task! 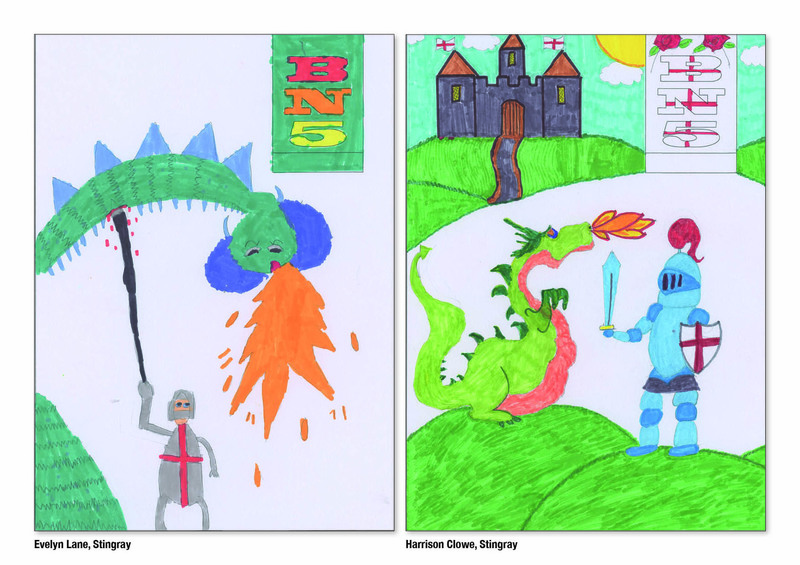 Some of the wonderful creations are displayed here, including the two other prize-winning designs by George Jordan from Stingray class and Harrison Sherrin from Sharks class. 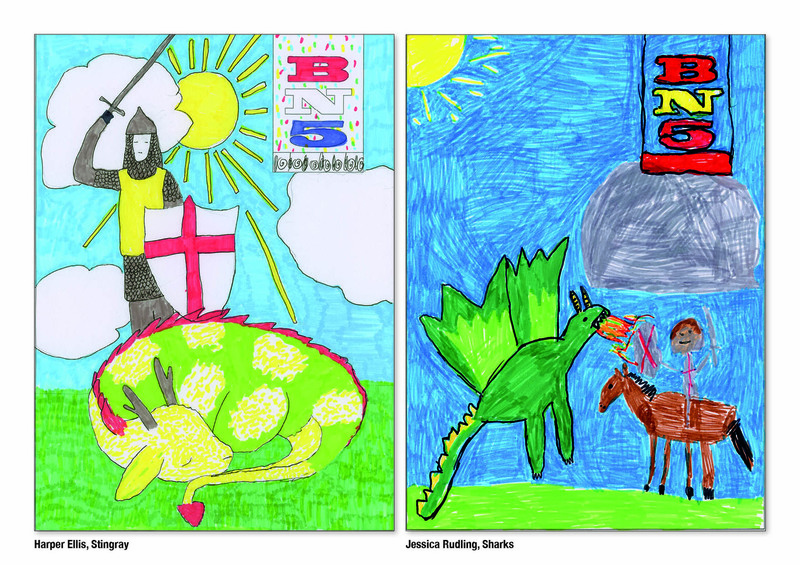 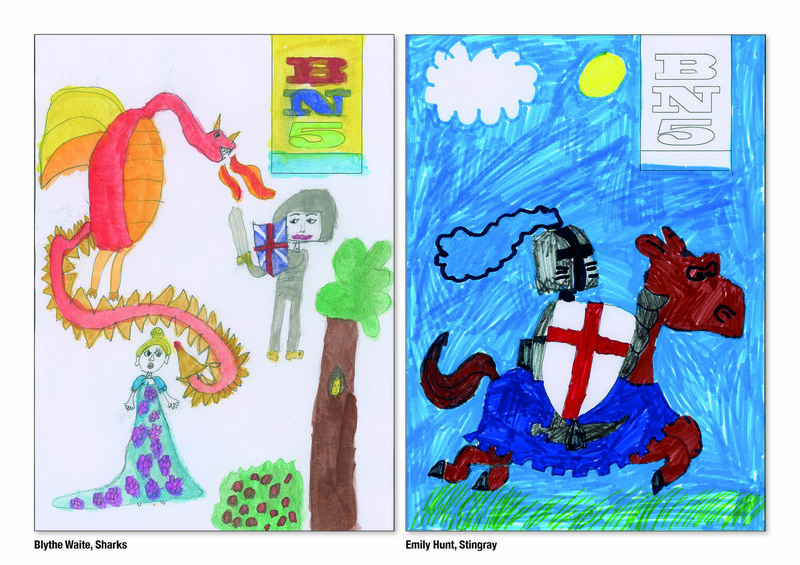 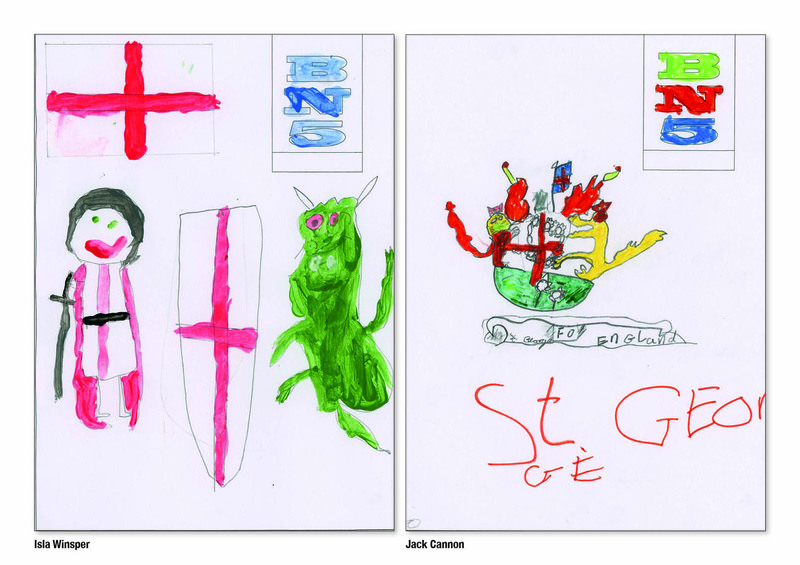 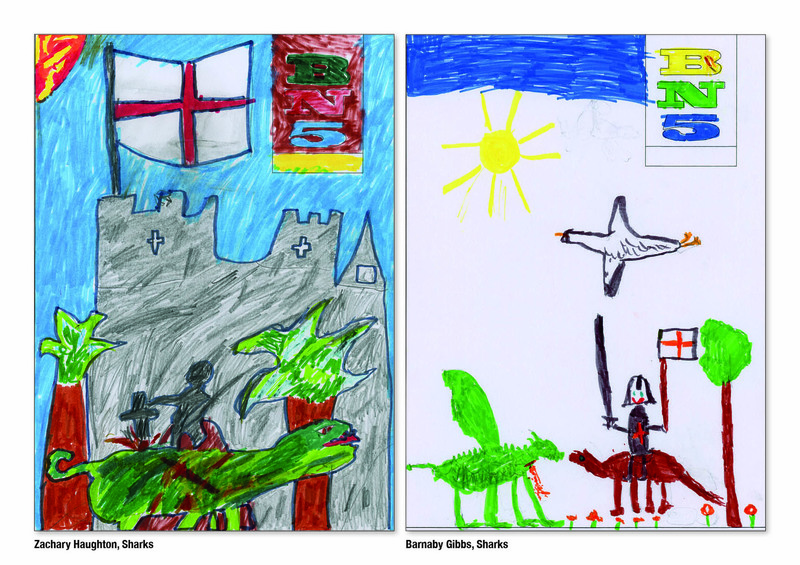 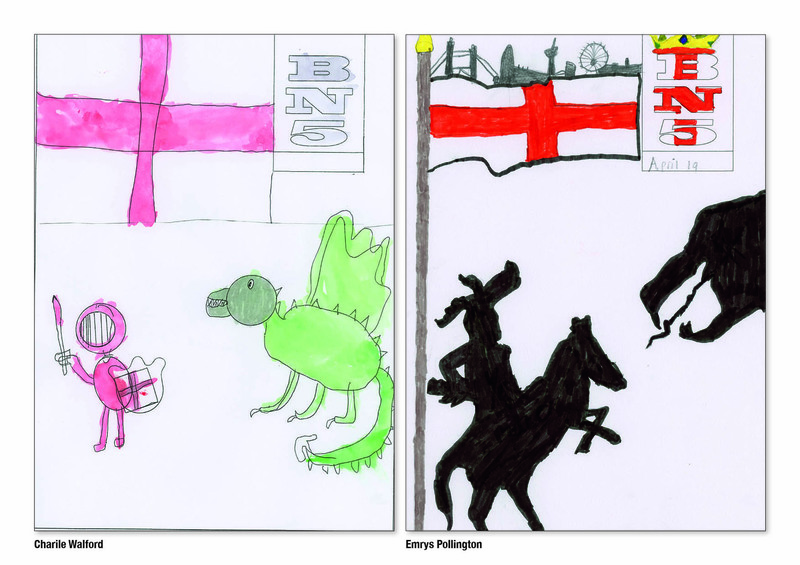 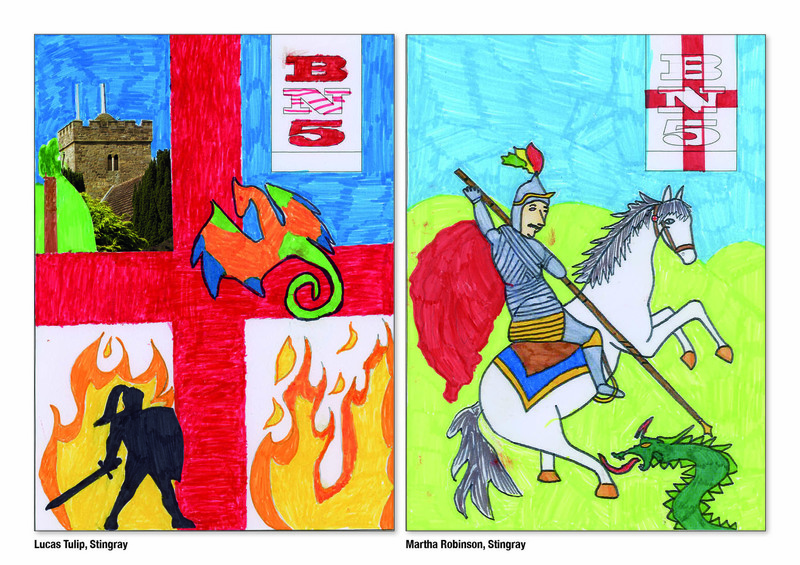 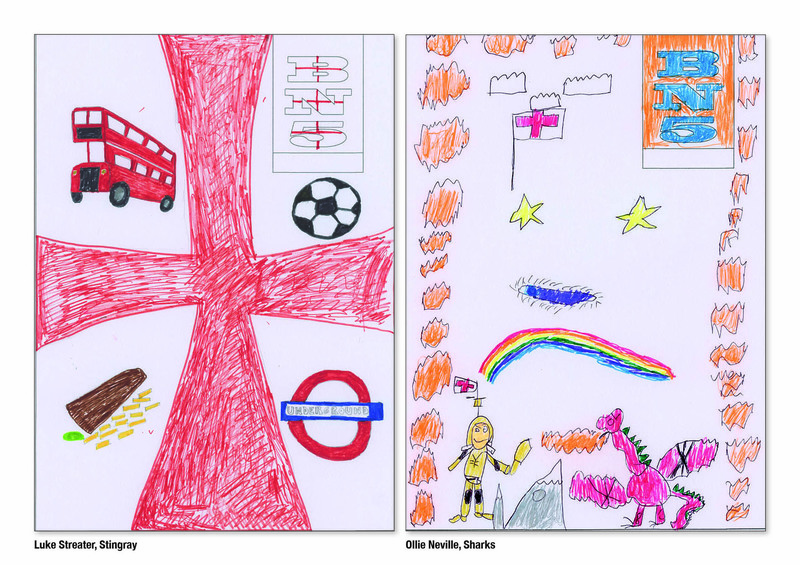 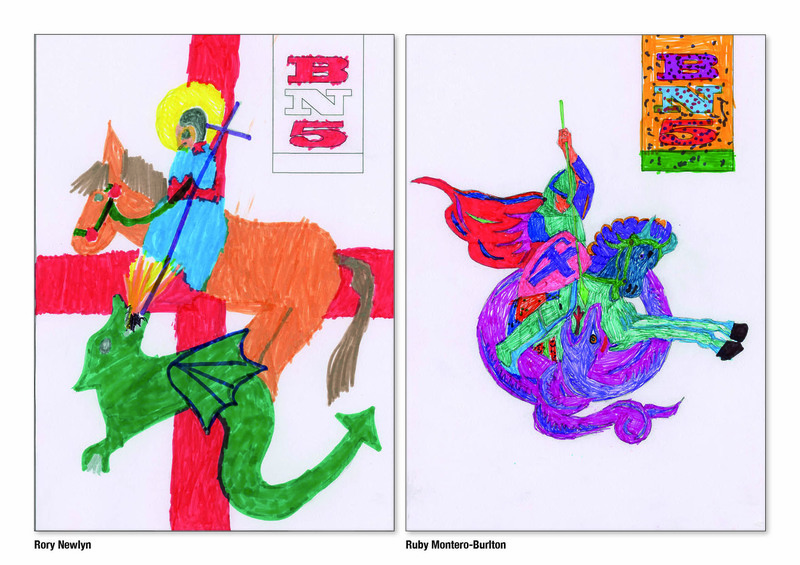 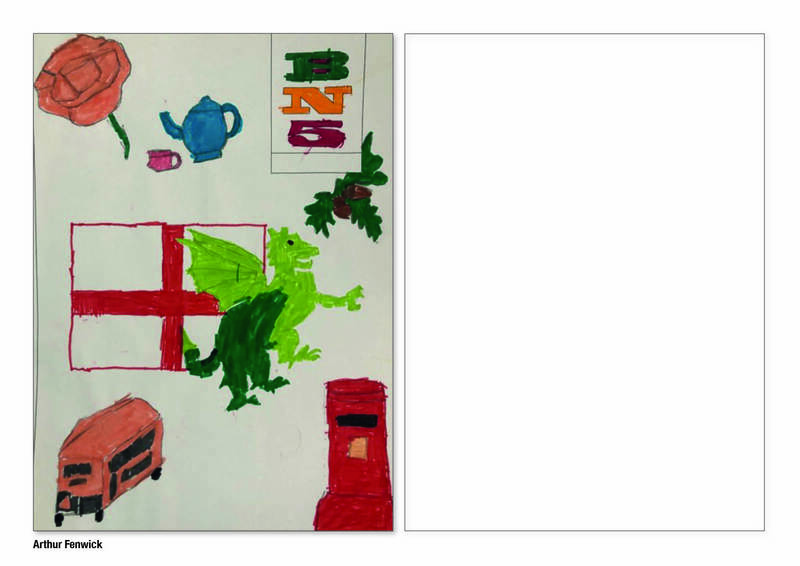 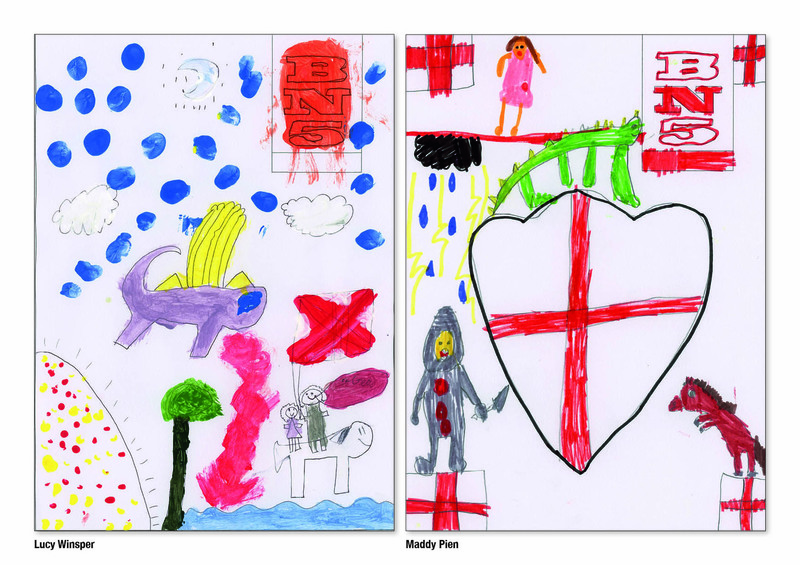 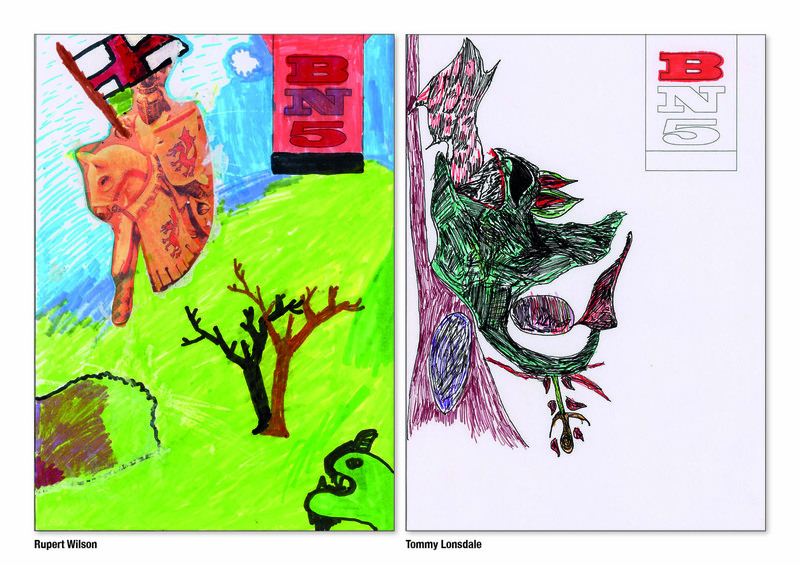 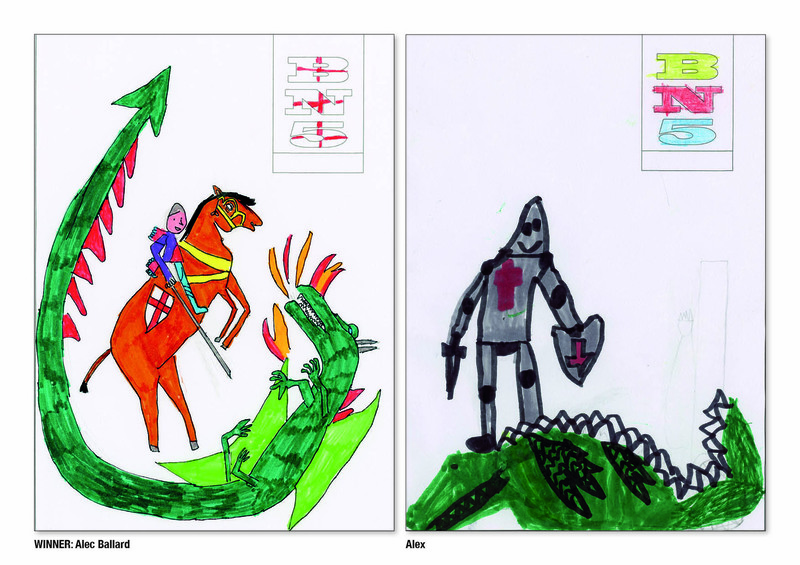 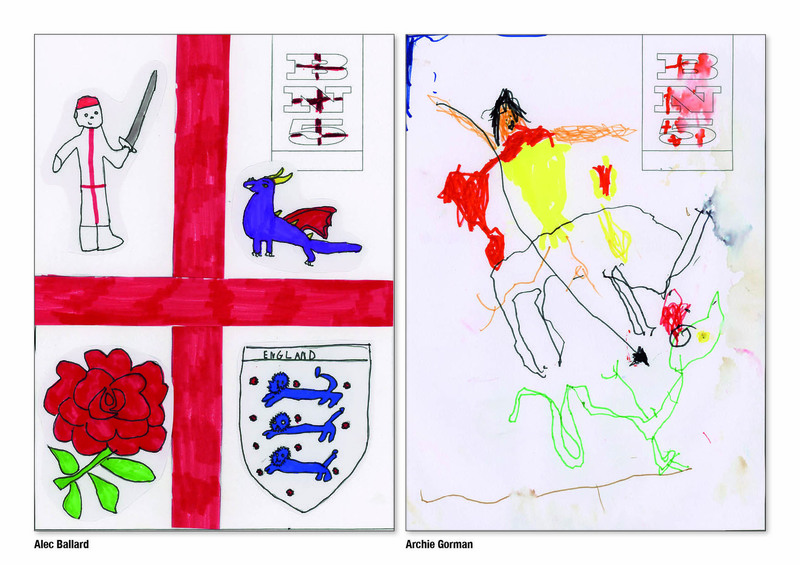 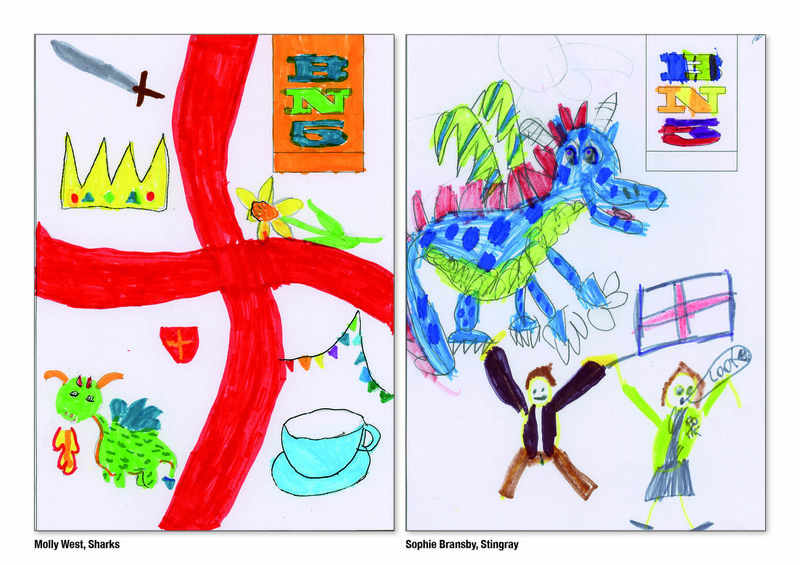 Part of the brief given to children in Sharks and Stingray classes (Year 3, age 7 and 8) was to create a cover on the theme of St George and England, and to; “Use your imagination – your picture needs to be bright and colourful, exciting and adventurous – we want people who see it to say – Wow!” We are confident that the cover designs produced (during homework time) do indeed have a huge ‘wow’ factor – well done Year 3 and thank you for working so hard and so creatively. 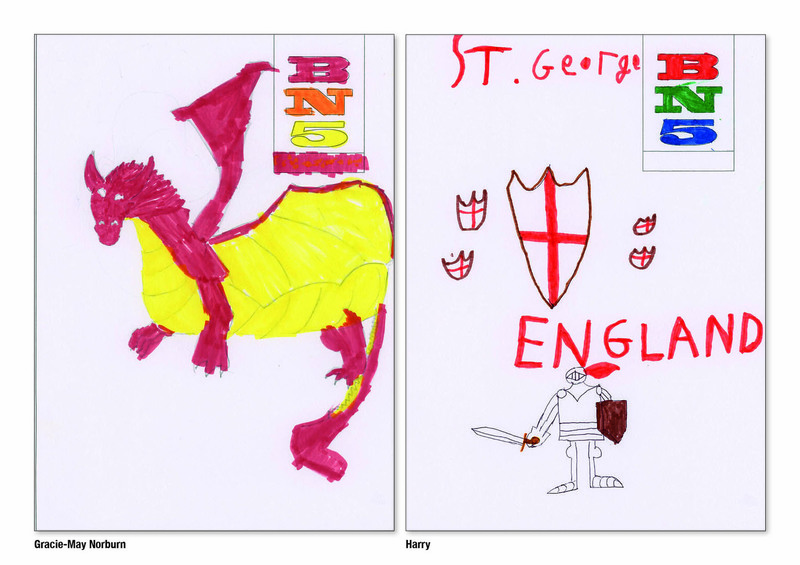 The whole school also enjoyed an interesting assembly on the history of St George’s Day created and presented and produced by Pamela Chaston and Arun Agarwal from the Sussex branch of the Royal Society of St George. 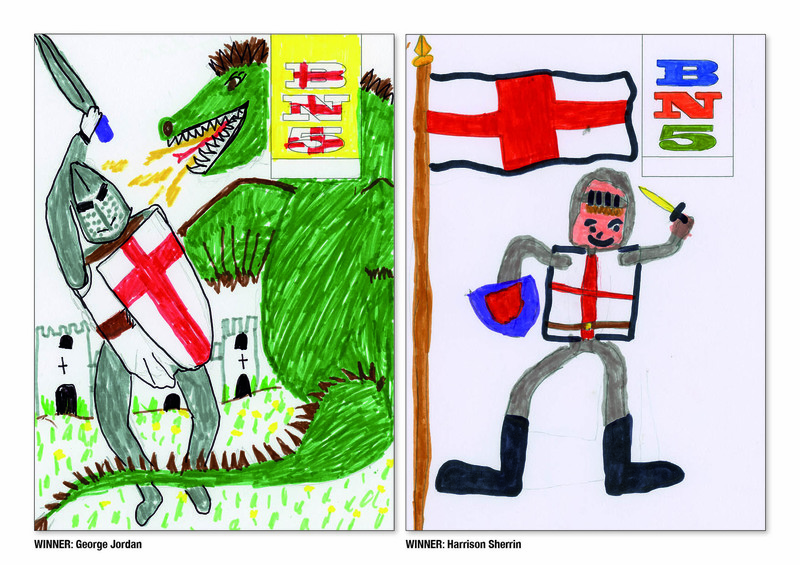 Arun has arranged a wonderful English Day event happening at the Henfield Hall on Tuesday 23 April, see page 42 of April BN5 for further details. 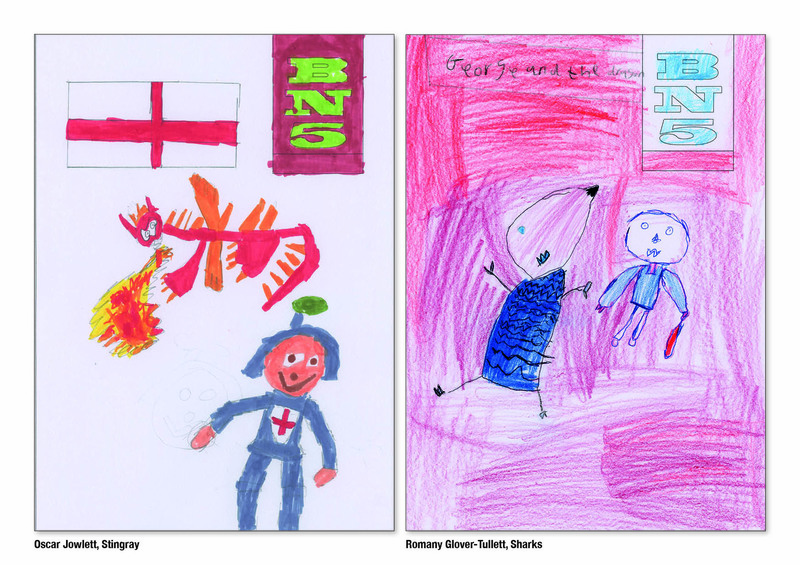 Below are all the wonderful illustrations created by the very talented children from Stingray and Sharks classes. 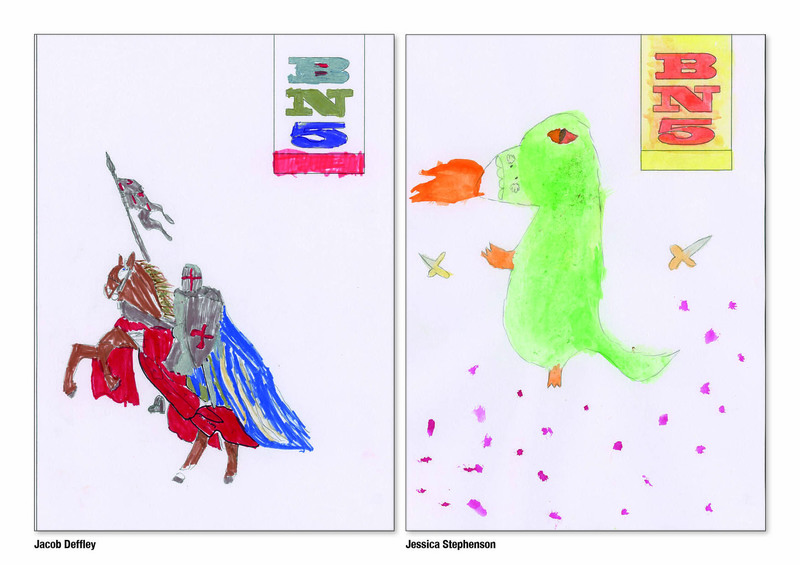 The three winners received £30 book tokens from us at BN5 magazine and all the children were given a wooden dragon keyring to decorate. 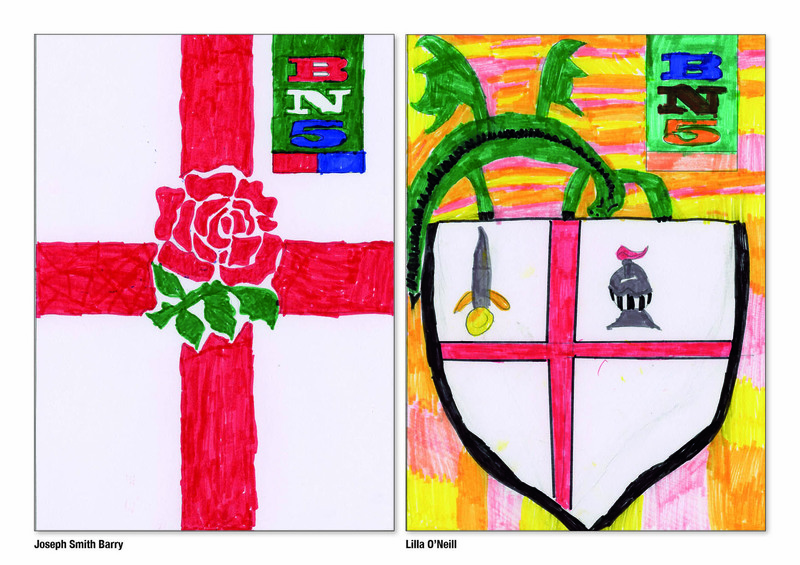 Many thanks to Malcolm Eastwood and Denise Maurice for helping to judge the competition, and most of all, thank you to all the Year 3 students.